Singapore Alternatives: Who is GMS? There are a couple of attempts by my detractors who have tried to flame, troll or even defame me by writing on this topic "Who is GMS?" and I have basically ignored them. I am not some prominent guy like LKY who needs some other people to write a biography of him; neither am I someone who will be bothered by some strange fellows who are so "obsessed with me" with such intense hatred against me as if I have killed their whole family. I am not someone who will feel at ease when there are people praising me for anything and would probably blush and feel "paiseh", not because I do not agree with them but rather I am not used to flattery at all. In fact, I would rather be the one who will stand up and "boast" about my own achievements (well, just telling it as a matter of fact) rather than listen to flattery from others because I know I would not claim credits that do not belong to me, neither would I be shy about what I believe in and what I have done to live or die with my belief. I am a simple man but unique in every ways. A simple man with little desires. When my peers were competing vigorously for BEST results in school, I am more interested in reading newspapers and current affairs. While my friends aspired to be doctors, lawyers, engineers, professions to achieve their "5Cs" dream of our time, I naively wanted to be President of Singapore, not because I love that pay of millions of dollars for doing virtually little things, but I mistakenly thought that by being the President of Singapore, I could change a lot of things, a lot of policies which I believe would make Singaporeans' lives far better than what PAP is doing. Of course, when I get older, I realize that I have to be the Prime Minister instead of the President just to achieve what I aspired to do. The twist of fate came when I was in Hwa Chong Junior College. I nearly wanted to quit HCJC because I was beginning to feel uneasy and dislike the "elitist" nature of my environment. Believe me, I was just a little bit ignorant of getting myself into HCJC without knowing that it is some elitist JC in Singapore, because I thought only Raffles JC was the the elitist one. I wanted to leave HCJC after first 3 months to enroll in some polytechnic partly because I am socialist in nature and partly because I did not want to burden my parents too much financially if I follow the path towards University. But somehow, I stayed back, due to the "crisis" HCJC faced back then. My second twist of fate happened when I made the "unrealistic" or rather "irrational" choice of dropping the subject which my strength lies, Further Maths, to study a TOTALLY NEW subject Economics, just out of my curiosity. I could have breezed through effortlessly with Further Maths instead of slogging in Economics with numerous FAILS in my initial tests and even mid-term examination. I was even told by my Economics Tutor to drop the subject but for some reasons, amidst my numerous failing of my assessments, tests and even mid-term examinations, my curiosity in this subject of Economics has turned into immense interests. No matter how bad I failed my tests, I "die die" won't give it up! I can be such an "irrational" man which will hold on to the subject, mission, vision or whatever, just because of my interests and passion in it; irregardless of how other people judge me, how many times I failed in the subject and how adverse the situation is for me. My perseverance has of course paid off eventually and Economics has become my second passion in life. So basically for my entire HCJC life, I have spent almost 80% of my time reading and learning Economics, even on topics which were considered as "out of syllabus", although Maths and Physics were such an easier subjects to "score" if I have put in just a little more effort in them. I could pass and do well in these two subjects without spending much time and effort but I didn't work for the A-Star results. Instead, I spent more time in some "lousy subject" Economics just because of some "silly passion". Well, I never say die when it comes to my passion. From then on, I have never looked back. Economics become my passion and "second nature". I just follow my heart and pursue my passion and I have never regretted it. When people were considering what types of good paying jobs by studying Economics and getting a good Honours degree out from it, I was rather detached. That wasn't my aim and vision. Economics to me, is linked to my other GREATER passion which has evolved much earlier in my childhood :- the vision of changing Singapore into a better place for everybody. And this, was passed down and inculcated into me by my late father, a taxi driver. Even as a taxi driver, he would read the newspapers and current affairs everyday, giving me his daily critics of the political-economical situation at that time. He was political, though not a politician by nature. And I have succeeded him in this old fashion "socialist" thinking right from young. This is the type of characters I have developed through my founding years, that made me just a little bit special, or rather, CRAZY enough to go into opposition politics, amidst the ERA of TERROR, not just FEAR of PAP. Yes, PAP has basically TERRORIZED everyone right from the start where they gained power till late 1990s. They have terrorized Singaporeans from taking part in opposition politics by playing hardball to their opponents, right from 1960s' Barisan Socialist people like Lim Chin Siong to the record breaking of ISA detainee Chia Thye Poh, to 1970s Tan Wah Piow, 1980s Francis Seow, JBJ and dubious label of "Marxist Plot" to 1990s Dr Chee Soon Chuan, JBJ and Tang Liang Hong etc. I must admit, when I first decided to join Workers Party in 2001, there was FEAR in me but my strong sense of Social Justice and helping the weak to fight the bully, has helped me to overcome my FEAR altogether. I am not a Saint neither am I perfect in every sense as a human being. But I am a religious man. I guess if I have not enter opposition politics, I may most probably become a monk by now. I understand how PAP TERRORIZE opposition and that is why I have tried in every ways, in everything I do, in every decision I made, to keep myself "spotlessly clean" as far as possible. Although I used to joke about how I live like a monk but it is actually a true description of my life and living. Buddhism has thought me one simple rule, if you want to get out of sufferings, trouble and wrong doings, keep out of unwanted desires, hatred or strong negative emotions and most importantly, attachment. Yes, I try to void myself of strong and unnecessary attachments. It only takes me 15 minutes to decide to resign from Workers Party. Some may say I was too rash, some may say I lack perseverance or even some have said I am a traitor with no loyalty etc. But as you can see from my pass, I am not someone who would just "run away" so easily even if I have failed numerous times. But when it is time to let go, I will do it in a swift manner with little hesitation. My philosophy of life, relax lah, we are just a little chess piece in the time of historical being. Most importantly, we should be true to ourselves, true to our spirit, beliefs and our visions in life. If you want to understand why I make certain decisions and do certain things, you will have to first understand my beliefs and vision in life. Else, you will find so many people contradicting themselves in their attempts to discredit me, throwing up all sorts of funny accusations, speculations and poisons. I am a simple man who just happens to take it very seriously to live and die with my beliefs. Not just religious ones, but social-political beliefs as well. My political beliefs in Democracy, Social Justice, Freedom of Press and Expression, Fair play, transparency, public accountability, Spirit of Public Service, Checks and Balances based on Separation of Powers, Multiracial and Multiculturalism etc, aren't just beliefs in the mind or talk, but in actual practice. For example, most political parties in Singapore, including both PAP and WP, or even SDP, have put up motherhood statements about their belief in "Democracy". Opposition parties like WP and SDP have talked more about "checks and balances", transparency, Freedom of Press and Expression etc, but in actual practice, do they really run their parties according to what they believed in? If they don't even run their parties according to what they believed in, how could you expect them to run the country according to what they claim they believe in? Democracy is not just about having elections. Even dictatorial regimes have elections...eg.Communist China and North Korea. The basic fundamental tenet of Democracy is checks and balances through separation of powers. That's the crux of it. When I had the chance to run NSP as its Secretary General, I have introduced reforms to its constitution to make it reflects the true spirit of Democratic principles. While there is a need of a system to guard against infiltration by hostile opponents, the common "cadre membership system" used by PAP, WP, SDP and NSP has inevitably put too much power unto the Central Executive Committee where all cadres will have to be nominated and promoted by the CEC members only. This will result in political patronage and entrench of powers of those in CEC. Some parties even have absurd lopsided power structure which gave its SG or Chairman/President too much power to veto any nomination altogether without the need to give good reasons or go through any voting process. I have introduced reforms in NSP Constitution to allow the cadres or Congress Members the power to nominate and vote to promote any ordinary member into Congress Member even if the CEC or the key leaders are not in favour of it. This new element will provide a fairer alternative to the absolute control of cadre promotion by the CEC members. This is just a small example of how I put my belief into practice and the things I do. There are other measures which have been put into the amendment of the Constitution of NSP to make it more democratic and install the element of Separation of Powers within it. Some people attack me for being "party hopper" or "political opportunist". Their reasoning really make me laugh. I am instead, a political builder, who believe in the True Spirit of Democracy and would put in every effort to build up the necessary platforms to balance off the almost total monopolization of power by PAP. Although in WP, I didn't manage to convince and effect certain changes to its structure like building up the Malay Bureau which I did in NSP, but I believe in contributing to the rebranding effort of WP. I have initiated a few "long lasting" activities like National Day "flag offering" walkabouts, even going along the MRT train lines to effect a change of attitude and perception that opposition party is all about "opposing" but not "patriotism". We have worked hard as a team back in the early 2000s whereby a lot more people are either too afraid to join opposition party or just too skeptical to think about it. It was a very successful rebranding exercise which inevitable benefited not only WP but the whole opposition movement as a whole. 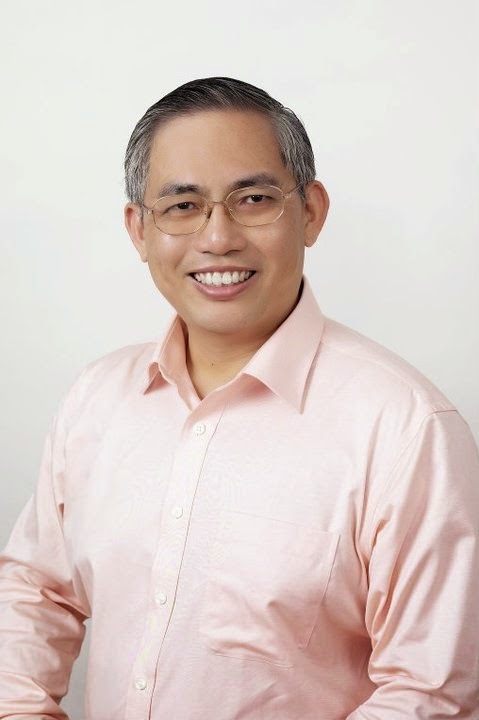 After GE2006 and my decision to resign from WP, I initially decided to take a long break from opposition politics, thinking that what I have helped to build in WP, would be able to work well towards my belief of what a Democratic Singapore should be all about. But apparently, the idea of "two party system" in Singapore is not showing a promising sign as a guarantee towards a more open and Democratic system which I envisaged. The President of NSP, Sebastian Teo approached me and Tilik to persuade us to join NSP. Tilik eventually declined but I have agreed with certain pre-requisite conditions, but it has nothing to do with any "high position" in NSP CEC. The promise of change, restructuring, rebranding of their newsletter to North Star, setting up of Malay Bureau, guarantee of freedom of speech and expression, revamp on grassroot outreach activities etc, were all part of these "conditions" I have set for Sebastian before I agreed to join. There is no condition on candidacy nor personal glory of "important post" in CEC. In fact, I have to decline a couple of times for me to take over the SG post prematurely. I was just happy to help out Law Sin Ling who was the SG when I joined, in drafting out press releases and statements. Basically, I just want to build a political party which will be creditable with basic functions revamped and strong core values in Democratic principles. Yes, I was willing to "do it all over again" from what I have learned and done in WP, to apply it on NSP with more modifications and enhancements. However, for any organization changes, there will bound to be internal resistance to changes. But I am happy to say that our team has managed not only to revamp the party organization, going through the rebranding exercise, but we have managed to change certain mindsets as well. It is a fulfilling experience to me even though I have met lots of resistance, cultural shocks and problems in integrations etc. I believe, if NSP has continued on what it has set out to do, it would have succeeded to achieve higher standards and results in the coming GE. Unfortunately, it didn't continue to fly higher despite of having a good take off in GE2011.Anyway, this is another story. NSP has a remarkable campaign which has made tremendous gains from its previous results, partly because of the foundations we have built as a team right after GE2006 and partly because of the infusion of the group led by the two scholars, Tony Tan and Hazel Poa. NSP was effectively one GE late than WP. If it has carried on with this momentum, it would have achieved what WP has achieved in GE2011 by the next GE. Some people question me or even blame me for the state of (dismay) affairs in NSP. They questioned me "Why did you leave?". Well, my simple answer to that is, I am a political builder without much attachments. When the group led by the scholars think they can lead the party and perform better, I was most willing to oblige them the opportunity to do it; just like the time when I am most willing to oblige them the opportunity to contest under NSP banner even though I know there will be problems of integrations as well as "leadership challenge" thereafter. Even though I think they were making a grave mistake there and then of wanting to take the SG position and thus the party, but who am I to say I will be right on this? Besides, I always believe that the best lesson people learn is through mistakes they make. On top of that, I believe that if I don't agree to let them take over the SG post and even if I managed to win the post of SG via CEC elections, they would most probably leave NSP and it will destroy BOTH NSP and the group as well, politically speaking. This would become a really unfortunate loss to the whole opposition movement and democratic development. I could have chosen to step down as SG and remain in CEC or even just as a party member instead of leaving NSP altogether, but I chose to let my membership lapse. I believed then, that my mission in NSP is completed, even though I did not attain the better result of winning at least a seat in parliament. The important point is that I have built the viable political platform which I set out to do. My next mission should switch to "the Forth State" or "Forth Power"; the scrutiny of the powers and political players via the non-partisan position. The scrutiny (checks and balances) will have to be applied to BOTH opposition as well as PAP. This is how Democracy should work. To borrow Mr. Low Thia Khiang's phrase, if the co-driver is to slap the driver when he falls asleep, then who is to slap both the co-driver and the driver if they fall asleep together? This is the role of the Forth State or what I termed as "Third Force". This is also the reason why I feel that the dual party system isn't going to work well, thus we need multi-party system. This is an even MORE difficult path than the previous two paths, joining WP or NSP. I have been called all sorts of names, all sorts of poisonous arrows, dagger stabs and such, but I take all these in stride. While there is a fast "awakening" process going on, but extremist fanaticism is also on the rise. Blind support doesn't only apply to PAP but also to opposition parties like WP or SDP as well. However, since WP has elected MPs in parliament and have more responsibilities and public interests entrusted to them via their Town Councils, it is natural that WP will have more problems and criticisms thrown at them and thus, more fanatic and illogical defense put up by their ardent supporters. When these WP people (I always call them as such because in Internet, you can't really tell who are the party members and who are just supporters) cannot really defend WP's failings, naturally they will use the most common diversion tactic which PAP has been using all along. They will call others names, defame them by spreading rumours and such. I am definitely one of their victims. But I am not deterred by such tactics. All I want is simple, a functioning Democracy which is progressive in nature, which will bring strength and prosperity to Singapore. Without constant checking and balancing the powers with scrutinies on the failings of the parties entrusted with public funds and interests, we will not reach that state of democratic evolution. This is who I am. A simple normal guy who has set out to achieve my democratic dream, no matter how far it is. Never mind if the process is so much difficult and EXPENSIVE, just follow the heart and passion, I believe it can be achieved; even if it is not in my life time, more people will come forward to help to achieve it. I will live my dreams with my beliefs intact, do whatever necessary and within my ability to achieve progress in democratic development for Singapore. To end my article, I will put up the various responses I had made to some of the ridiculous accusations and poisoning my adversaries have made against me, mostly behind my back, after I sign off. Why am I sour grape when I am happy with my life now? Strange leh! I am a political builder. Facts speak for itself. Build the political strength for others to continue the path. If they can make it, good for them but they must make sure they do a good job. While I am in WP, I work hard to build the strength of WP. Some succeeded eventually by continue building on these strength, good for them. But they must perform, else they are not doing justice to the many sacrifices made by many other people who have brought them there. While I am in NSP, I work hard to build the strength NSP as the Third Force. Some people thought they can do better and want to try, I will let them have it. But apparently, in this case, they failed badly even before going for the next GE. So be it. They owe an apology to many other people's sacrifices contributed in building up NSP. Nothing to do with me. Do "political opportunist" do such things? No. Do people who are envious and selfish would do that? No. Actions speak for itself. "People are saying that there is an individual amongst our group who is a political oppurtunist, because he/she post controversial things and allow the IBs on their friend lists to post"
I asked him what exactly is "political opportunist"? What is TRUE BELIEVER of Core Values of Democracy? I told him if I am to block people who have differing views from me, who are my political opponents, then am I putting the belief of "Freedom of Speech" to practice? Won't I be the same as PAP, playing DEAF and ignoring differing views? So which part of this is "political opportunistic"? I just told him that people who harbour such view are actually very dangerous. If they can practice CENSORSHIP at this level, if they ever take power and become government, they will be like PAP or even worse than them, in controlling Freedom of Speech! Democracy and Freedom of Speech are not something that politicians could just "TALK" about it. We should observe very carefully the way politicians and their supporters behave and what they do in daily business. Democracy is more than lip service, a WAY of LIFE which we live by the Core Values we believe in. Richard Wang, those people who really know me will tell you I am really living so happily after taking such a good break from partisan politics! What makes you think I am bitter at all? Imagination? Getting elected will come with responsibility and lots of nonsense from lots of people. If you do not have that passion, you won't be able to sustain as it will be a torture to your life. If you only think about that high MP allowance, you will end up entrapped in unhappiness! Why should I envy or feel bitter over people in that situation ? If I get elected, it would mean another phase of huge responsibilities and sacrifices of family life, privacy and business opportunities. Well, not that I do not want to get elected but my life will be very different. Good or bad? Nobody knows. 是福是祸无人知, just like YSL, do I feel envy of him? Feel bitter that I couldn't get elected like him? Absolutely no! But at least, at this moment, I am living a happy life! The late Honorary Member of WP, Goh Seng Soon always scold me 乐不思蜀.. enjoying myself so much that I have forgotten all about home country Singapore politics! Thus I am always amused by people who keep saying I am bitter about not getting into parliament, bitter at WP, envy at them...etc etc.. haha! It is really amusing rubbish to me lah! The Most Absurd Accusation : PAP Spy? Someone questioned me whether I am "PAP spy" while the PAP people accused me of being "one sided". This is hilarious. Speculating on WP AHPeTC saga? There will be no smoke without fire. Yes I have been waiting for the AGO report but this time round, the 29% arrears is a serious problem and I have repeatedly hope that WP will shed some light on it but just too bad, even LTK tried to distance himself from it while the Vice Chairman of AHPeTC is as blur as sotong ever. To my dismay, both gave irrelevant excuse for the repeated defiance of AHPeTC in submitting the report on arrears! LTK can taici away with the excuse that he is no longer holding any top position in AHPeTC but PEH is the Vice Chairman for goodness sake! Something is definitely brewing and we are kept in suspense while the Chairman of AHPeTC has conveniently kept quiet throughout this whole period. And you can't blame people of speculation when you have this deafening silence, Taici and political distancing by the very top leader of WP away from this saga, which have altogether created the speculations in the very first place. There is no sign of ACCOUNTABILITY demonstrated here by WP. I wonder on what moral grounds can WP MPs go into parliament to talk about accountability to PAP, least asking any from them. They will be shot dead immediately in such debate. Sometimes, having problems in governance is inevitable and that is not the biggest problem. The biggest problem will only occur when you mismanage the problem itself by not showing any moral courage of accountability. OH DEAR! All those SILLY BLUE TOY HAMMER working up for nothing! GMS is right, he has said in his FB, only those who are GUILTY CONSCIENCE will be agitated and jumped at every comment and article he has written, always SUSPECTING that he is attacking them! I have read this article upside down, inside out but I CAN'T FIND ANY REFERENCE to the Silly Blue's Workers Party but somehow, all these Silly Blue Toy Hammers keep jumping up and down, shouting out loud and cry foul of GMS... "attacking WP"? Oh DEAR! What IQ and EQ do they have? This is really typical "此地无银三百两"! What GMS has written here can be referred ANY opposition party! I remember SDP has banned their own members from commenting in social media in their own identity as well! I really cannot stop laughing while reading all these silly remarks from the Silly Blue Toy Hammer! HAHAHAHA! That's a hell lot of text to read. After halfway i gave up & simply scan the rest. Would be better to break into separate blogposts. Attention is short nowdays. Old school writing like Catherine Lim is going the way of dinosaurs. Arianna Huffington's writing in her book is also old school. When come to politics everyone want a say, I always told my friend, WP will be like PAP when they are in power, KMT and DPT are the same. Take a good look at the Taipei major election, can we find another Koh P? is hard and I hope he succeed. Likewise, GMS if you have try your best so be be it, there are always people talking against you! Many of my friends also comment about you and they just get angry when you talked about WP. Well, let everybody have a say, I strongly when you said is true, just that when people in Taiwan support Chen Swee Pian and when he is corrupted, the supporter just cannot admit it..........! Have a third force by all means and do come back we need bus conductor to slap the driver and co-driver if both of them are asleep!